Mark Kramer began his real estate career in 2004 with property management. He has managed over 200+ multi-family properties in both Missouri and Illinois. In 2007, Mark joined his dad in real estate sales with specific focus on restaurant business brokerage, multi-family sales, and property management. Together, Mark and Ron have grown their overall total sales and sold and/or leased hundreds of properties and businesses. As a real estate broker and owner of "Kramer Commercial Realty" Mark provides his clients with both knowledge and personal experience in the real estate market. He provides services for multi-family, retail, and industrial properties; as well as, investment brokerage, land sales, and tenant representation. Mark’s combination of real estate knowledge and property management experience allows him to provide his clients with an increased understanding of the market and hands on experience. Mark resides in Saint Peters, Missouri with his wife, Erin, and daughter, Gwendolyn. Ron Kramer began his real estate career in 2002 and is now one of the top restaurant brokers in the St. Louis market. He specializes in restaurant brokerage in both the Missouri and Illinois market and offers his clients many years of experience in real estate and business brokerage. 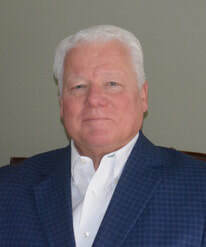 In addition to his expertise in the restaurant sales, brokerage and leasing; he is also involved in other types of commercial real estate brokerage including retail leasing and sales, multi-family, 1031 exchanges, and investment properties. Prior to working at Kramer Commercial Realty, Ron owned restaurants, investment properties and multi-family for 38 years. Ron resides in Kirkwood, Missouri with his wife, Marilyn, and great family which is very important to him! Call anytime for help with all your real estate sales/leasing, business listings, or purchase needs!